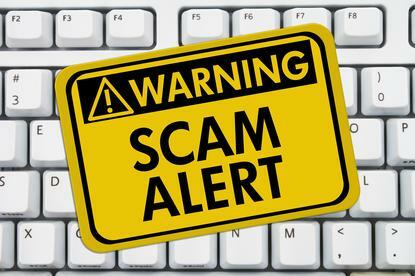 Microsoft New Zealand and NetSafe are advising home computer users to be vigilant as New Zealanders are being targeted by scammers about fake viruses on their computers. Microsoft and NetSafe have both reported a significant increase in reports of scammers trying to defraud people by claiming to be calling from Microsoft and that there is a problem with their computers. The cold callers offer to fix compromised computers and ask for remote access to computers which can reveal credit card details or bank account numbers - some people have allowed access and one is reported to have lost around $5000. NetSafe’s Executive Director Martin Cocker says this pattern of scamming is not new and the scammers use the Microsoft brand as the company is known to have trusted experts. “Unfortunately some people believe the calls are genuine and are led to believe they are doing the right thing by handing over private passwords or details,” Cocker says. Microsoft New Zealand marketing and operations director Frazer Scott says the big message they want to get out to New Zealanders is that the company will never call them asking for remote access to their computer. For those affected, Cocker says their advice is to hang up immediately and report the incident to NetSafe. Overseas caller states they are from Microsoft or a Microsoft certified technician. Suggests the victim’s computer is infected and harming others online or that their ISP has identified their system as a problem. Will get the computer owner to give the caller remote access using a genuine networking service or website like logmein123 or team viewer. They will use the ‘Event Viewer’ tool on the computer to highlight error messages which are supposedly signs of an infection. The cold caller will offer to clean up the infection and/or install security software and provide an ongoing support service costing anywhere up to $500. Hang up the phone - engaging with or taunting these companies can lead to you receiving many more calls at all times of the day or night. Some technicians have resorted to threats or abuse to get computer owners to give remote access. If you do give access but become suspicious, disconnect the machine from the internet immediately. NetSafe has received some reports of these cold calling companies installing ransomware on the computer to ensure they get paid to unlock the PC. If you have previously given remote access, it may pay to check what has been installed on your computer and be certain there is no way for the company to continue accessing your system and files. Consult a trusted local PC technician if unsure. If you have paid money to these companies using a credit card, call your bank and discuss your options. If you sent funds via Western Union or another wire transfer service then the money is gone and cannot be recovered.